It’s always fun seeing what interesting street names there are in different parts of the country. Happening upon a bizarre or quirky street makes you wonder how or why they came up with the name, and my travels in northern Minnesota have left me both puzzled and amused. I know there are plenty of doozies around the state, so today we’ll look at 10 of the best ones in Northern Minnesota. 10. 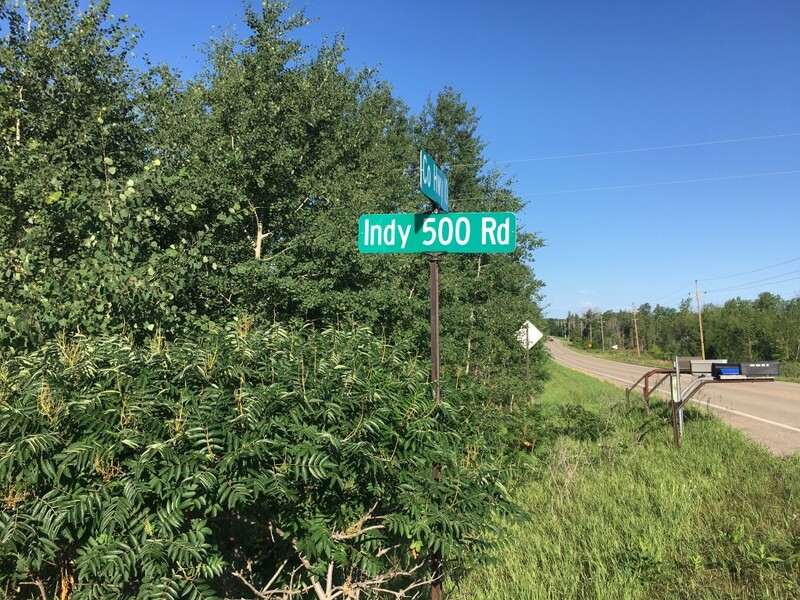 Indy 500 Road, Frazee – Just outside of town near HighwayHighlights.com’s home base of operations, we find the speed-inspired Indy 500 Road. There is a nearby dirt-biking track up this road a bit, which is maybe what gave it the inspiration. 9. Crappie Bay, Brainerd – Although every Minnesotan reading this realizes that a Crappie is a type of fish, it’s always still funny seeing the word written out- especially on a sign like this. 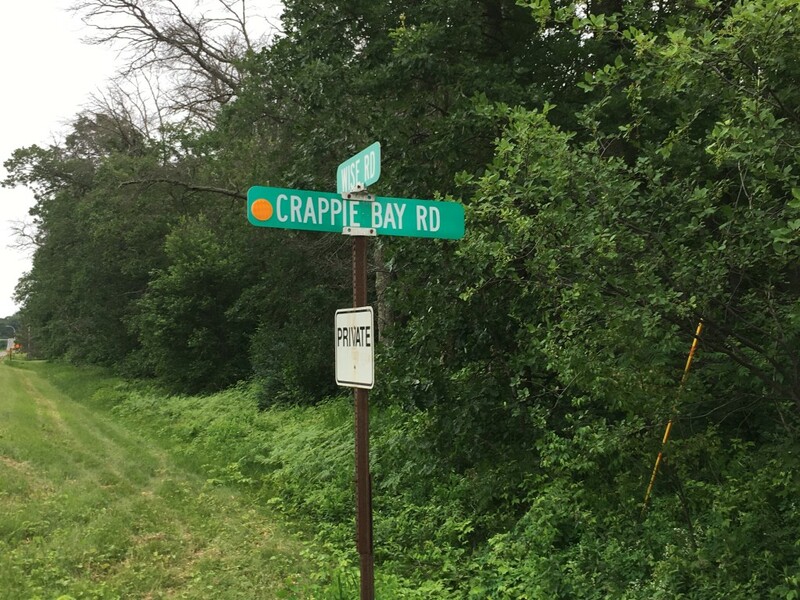 I’m sure Crappie Bay is anything but! 8. 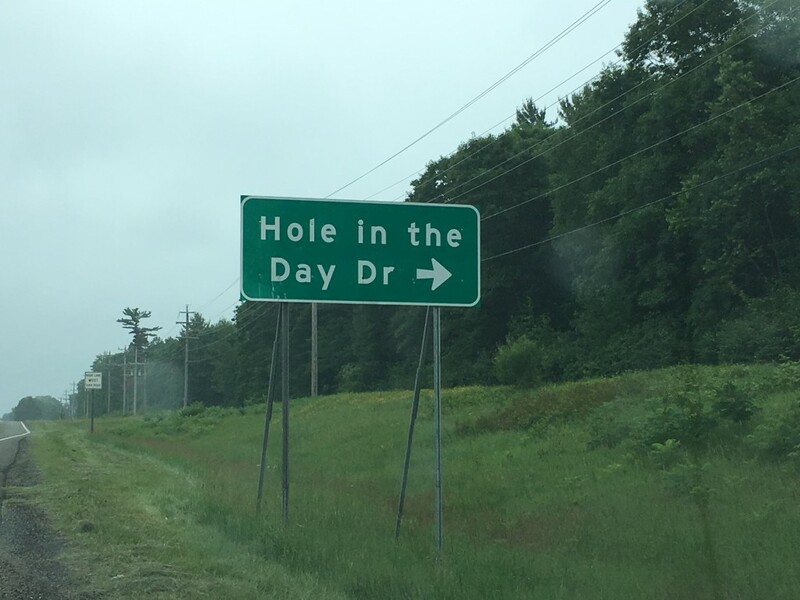 Hole in the Day Drive, Nisswa – This one actually has an interesting history. Hole in the Day was a prominent Ojibwe Indian Chief who lived in Minnesota in the 1800’s. The term Hole in the Day refers to a vision in which the guardian spirit was seen through a hole in the sky. 7. 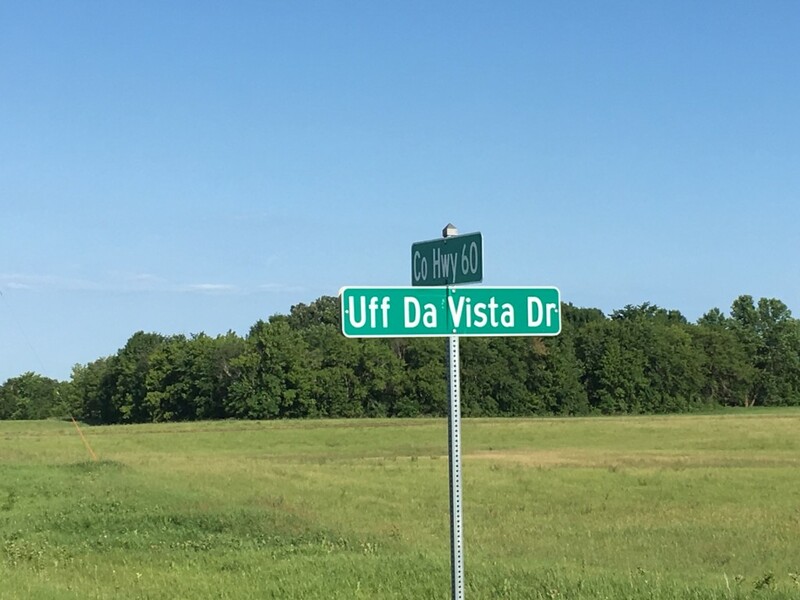 Uff Da Vista Drive, Vergas – There may not be a more “Minnesota”-themed street name in the entire state than Uff Da Vista Drive. The phrase “Uff Da” is seen on endless T-shirts, coffee mugs, and Minnesota souvenirs in gift shops around the state. Sometimes spelled “Oof Da,” the phrase resonates with everyone here who sometimes has just had enough. 6. 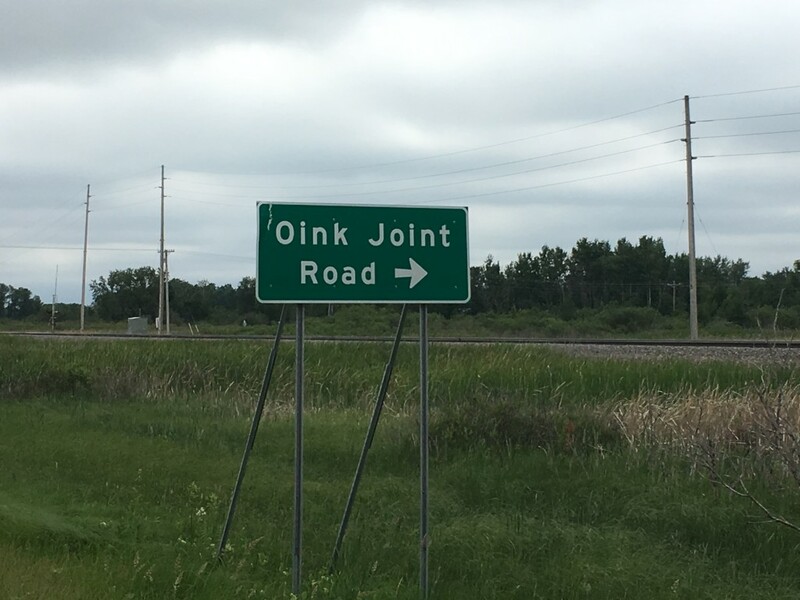 Oink Joint Road, Wadena – Visitors traveling on Highway 10 through Wadena have most likely chuckled at this doozy. It’s probably the most memorable name for a road on which a hog farm is located. 5. 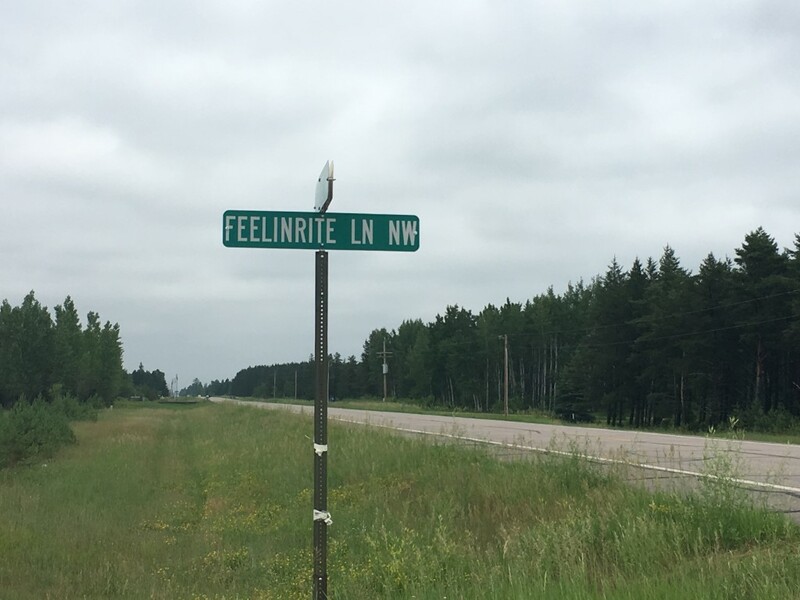 Feelinrite Ln, Bemidji – Sometimes in the quiet backcountry of the beautiful Bemijdi lakes area, you’re just feelin’ rite. 3. 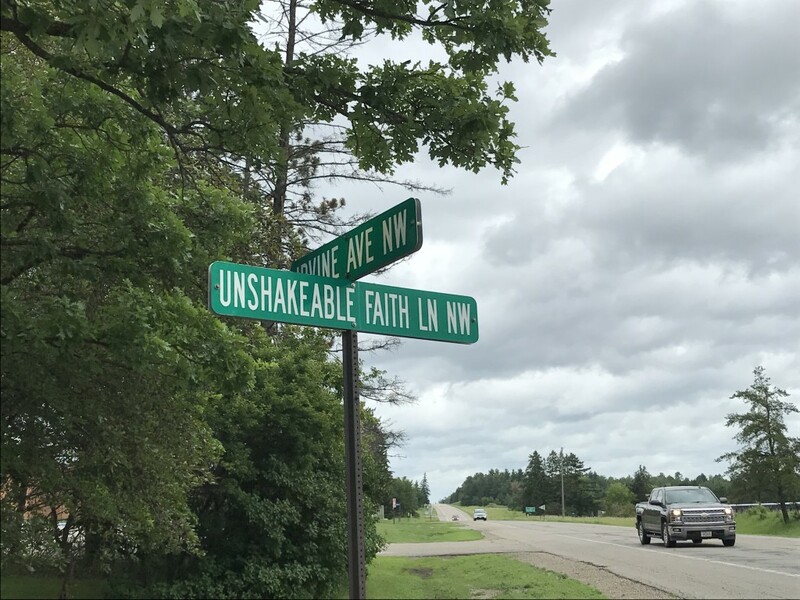 Unshakeable Faith Ln, Bemidji – Also outside of Bemidji, we see a road named by some folks with some serious religious conviction. There is also a church nearby. 2. 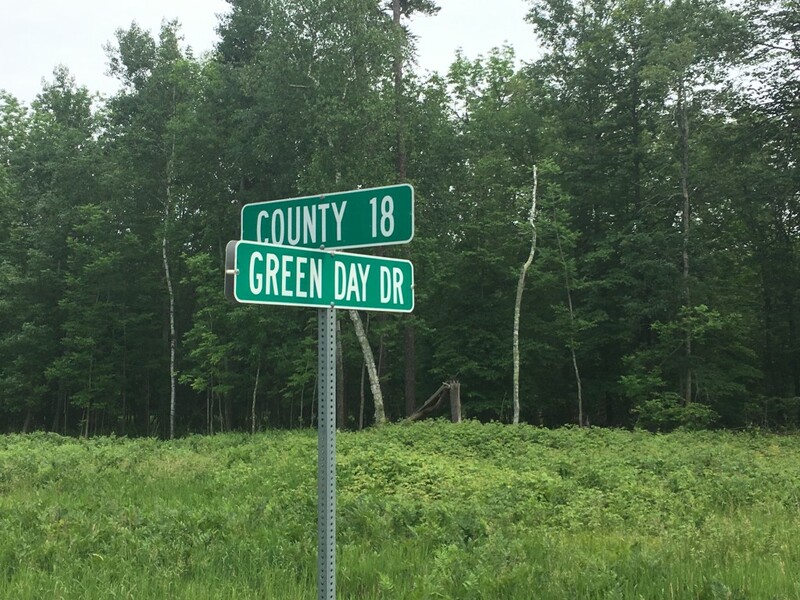 Green Day Dr, Park Rapids – Just north of Park Rapids, we happen upon Green Day Drive. Was this road named in part due to some superfans of the pop-punk band? It has to be. 1. Rub of the Green Street, St. Cloud – Territory Golf Club outside of St. Cloud has a nice housing development with golf-themed street names like Sand Bunker Street and Tee-To-Green Street. 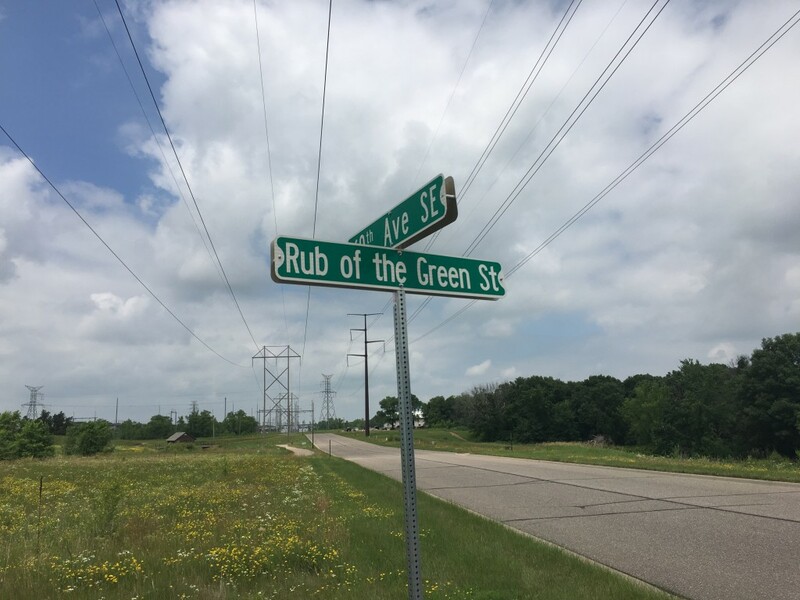 But the best of them all is the peculiar “Rub of the Green Street,” named after a quirky golf rule regarding a golf ball unluckily hitting something like a flagstick or a yardage marker. There will undoubtedly be a follow-up to this article because I know there are a lot more great names out there. Let us know some of your favorites in the comments section! See also: Five Great Town Names in Minnesota, The Five Most Misleading Town Names in Minnesota, and The Five Most Uncreative Town Names in Minnesota. what a fun post. i often wonder about some of those street names.